Dianna Friedman never expected her husband to leave her. After over twenty years of marriage, she’s making the most of what she has left–a sarcastic near-grown son and a mountain of bills that just keeps growing. She’s in over her head, but determined to survive. Until a man knocks at her door with a proposal to bring their spouses to justice. Everyone else may have seen it coming, but Paul O’Connell was blindsided by his wife’s betrayal. Determined to prevent her from bleeding him dry in their divorce, he turns to the only person he thinks can help him: the wife of the other man. 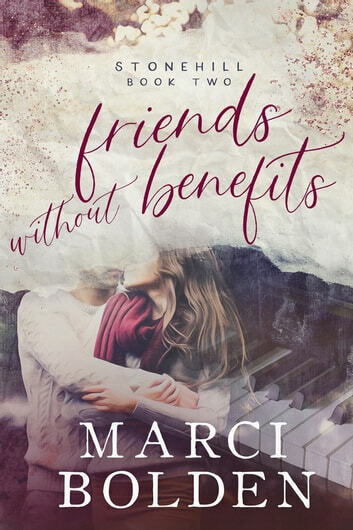 Dianna and Paul start as unexpected allies, but become fast friends…and maybe more—although neither of them can admit their growing dependence on the other. When Dianna’s life takes an unexpected twist, she and Paul must reevaluate everything…including what they really mean to each other. Wow! This story had me riveted from the beginning. Dianna never realized what Mitch was like until she caught him cheating on her. The other woman was also married and in that, she finds a friendship with her husband, Paul, that she needed at a time where she was lost. The struggles that the characters went through had you at the edge of your seat waiting to see how they were going to get through it. My heart broke for Dianna and Paul and I kept screaming hoping Dianna would realize, not too late, that Paul is what she needed. The growth they went through in order to be together was so real. I cried (a lot), I laughed, and I rooted for them from the beginning. I was also glad to see her friendship with Kara and the other friendships Dianna found along the way. I only wish there was an epilogue but I am sure we get a few glimpses of them in the next story. I received a free copy of this book via Booksprout and am voluntarily leaving a review. Grab a box of tissues because this is an emotional rollercoaster of a story. After twenty years of marriage, Dianna's husband calls it quits and files for a divorce leaving her with nothing but bills and his sons to take care of. The woman he cheated on Dianna with husband ask her to testify on his behalf so he won't have to give her alimony because of her adultery. As Paul and Dianna depend on each other for emotional support, their feelings towards each other change. 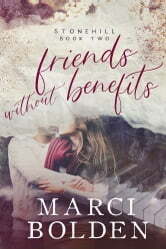 Can these two who were betrayed by their ex's find happiness with each other? I received a free copy of this book via Booksprout and am voluntarily leaving a review. A truly heartwarming, sweetly thrilling, emotional and engagingly realistic journey filled with shared misery, heartbreak, joy and exciting passion.... this was a great read from beginning to end. The way Di and Paul end up being there for each other at the lowest points of their divorces is unequally sweet. I could not put this story down once I started reading and falling into his emotional journey.